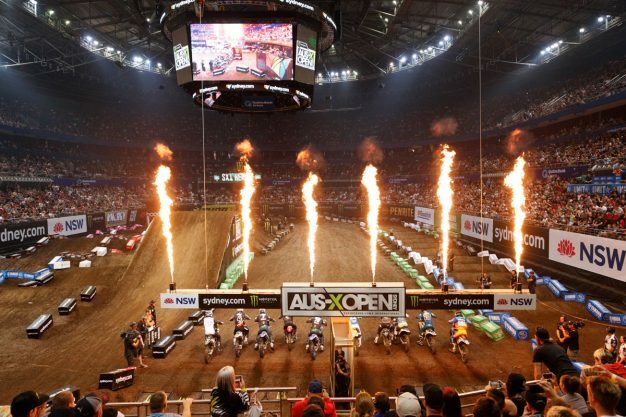 With two hugely-successful events on both sides of the ditch, the Monster Energy-backed AUS-X Open Sydney and S-X Open Auckland delivered some incredible moments across Australia and New Zealand. 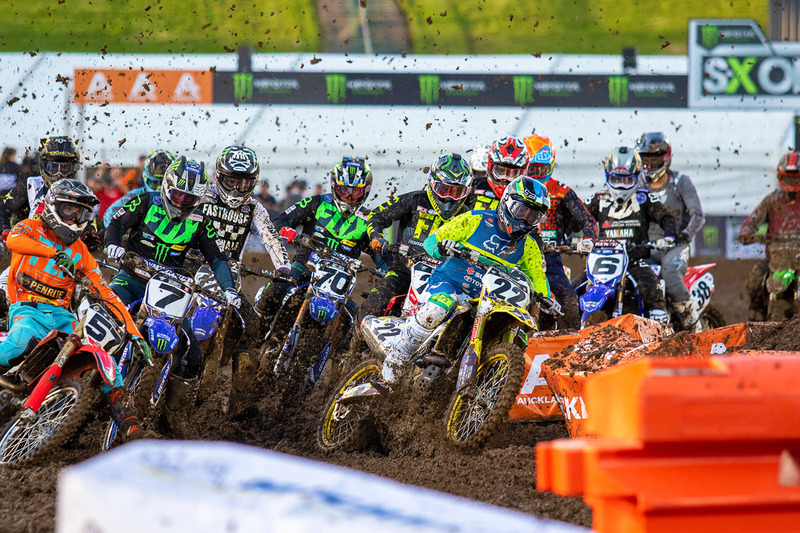 The AUS SX Holdings crew straddled both the Australian Supercross Championship and the all-new Monster Energy S-X Open Supercross FIM Oceania Championship, attracting a high-quality field of international stars across both the SX1 and SX2 classes. With both huge events now run and won, MotoOnline.com.au lists our Top 10 most memorable moments. 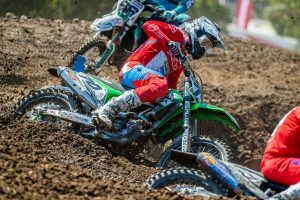 Anyone who witnessed the racing at Mount Smart Stadium would’ve had little doubt that they were watching a reborn Chad Reed. Off the back of a somewhat disappointing outing in Sydney, the 36-year-old legend was back to his confident, aggressive self as he dominated all three SX1 finals. Aboard his JGR-prepared Autotrader Yoshimura Suzuki Factory Racing RM-Z450, Reed snatched all three holeshots and led every lap on his way to both the round win and the Oceania supercross crown, pipping DPH Motorsport Husqvarna’s Dean Wilson to the title. In terms of supercross, 2018 has been a year to remember for Rockstar Energy Husqvarna Factory Racing’s Jason Anderson. 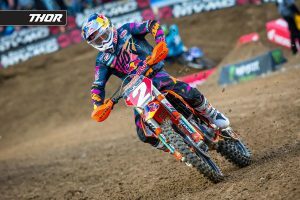 Off the back of a memorable Monster Energy AMA Supercross Championship victory, Anderson turned up at Sydney eager to defend his AUS-X title, and did so, emphatically. In what was his first appearance since injuring his ankle in an unfortunate practice crash during the outdoor season, Anderson made no bones about his intentions and his race fitness by tearing to the front of all three SX1 races and claiming a three-race sweep in the Triple Crown format. Last year everyone’s favourite redneck goon rider Ronnie Mac broke the internet with his fiery clash with the GOAT, Ricky Carmichael. This year saw more antics after ‘Uncle Ronnie’ and Kiwi legend Ben Townley fired up with some pre-race trash talking. In the ANZAC vs USA feature race, the two were paired up for the final laps. After trailing most of the lap, BT absolutely pile-drove his KTM 450 SX-F into the American in the final corner, sending him flying off the berm. After crossing the finish line BT then drove the point home with a crash-tackle that an All Black would’ve been proud of. Staged or not, it was entertaining and the Kiwi fans couldn’t get enough of Townley on return. New Zealand springs can be fickle and mother nature tried to throw her worst at the S-X Open Auckland, dumping more than 20mm of rain on the venue during the day. With live TV coverage locked in and thousands of spectators pouring through the gates, the promoters and track crew scrambled to ensure the show went ahead. Water pumps were brought in to remove a huge pond from the start straight, and the bobcats worked overtime as the day’s racing format had to be changed multiple times to match the situation. The end result was an amazing night of racing, but the organisers will tell you they’ve never worked so hard to deliver an event. The old adage ‘in order to finish first, you first must finish’ was never truer than it was in Sydney’s SX2 class. Penrite Honda Racing’s 11th-hour ring-in Cameron McAdoo walked out of Sydney’s Qudos Bank Arena with the trophy and prize money, despite not winning any of the three triple-header races. Husqvarna privateer Jy Roberts claimed the first race, before Penrite CRF Honda Racing’s Jackson Richardson chalked up the following two, with McAdoo finishing a consistent runner-up in all three races. Richardson’s sixth position in the first race saw him fall just short of McAdoo’s points haul for the night. You would’ve struggled to find anyone with a bigger smile than DPH Motorsport Husqvarna’s Hayden Mellross on Saturday night. After a runner-up position in the Australian SX2 championship, Mellross made a one-off appearance on a FC 350 in Auckland and had the time of his life. A consistent 3-4-3 result in the three SX1 main events – against a world-class field with 100cc more engine under them – saw him finish the night in second overall, beating the likes of three-time Australian Supercross champion Justin Brayton and Geico Honda star Christian Craig onto the podium. Sydney’s Qudos Bank Arena has generally been pretty kind to Chad Reed over the years, but in 2018 things hit the fan. On the second lap of the first SX1 final, Reedy gave his RM-Z450 too much gas before the finishl ine and spun out on the slick surface. He recovered to finish seventh, backed it up with a fourth, then accidentally took the shortcut lane a second time in the final race, which saw him penalised and awarded sixth for fifth overall for the night. It was a disappointing end to the night for Reed, who more than made amends two weeks later in Auckland. The S-X Open crew has a habit of shaking things up every year with different formats, prize purses and features. This year both the AUS-X Open Sydney and the S-X Open Auckland featured Triple Crown formats for the finals. This meant that the racers ripped out quick laps, went back to the starting grid, caught their breath, then rinsed and repeated another two times. Sydney saw the format across both SX2 and SX1, but in Auckland only the SX1 class sported the Triple Crown, with eight laps per race. 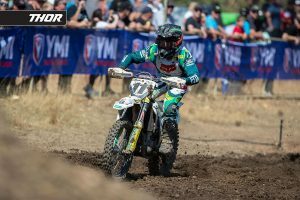 Not only did it make the racing tighter for the fans, but all points from each short SX1 race counted towards the S-X Open Supercross FIM Oceania Championship. One of the biggest announcements before the AUS-X Open Sydney was the inclusion of retired legend, Ryan Villopoto to the starting roster. However, just days before RV2 was due to fly out his father tragically passed away and he opted to not travel halfway around the world during such a hard time. At the same time, Cameron McAdoo was drafted into the Penrite Honda Racing squad to replace an injured Bradley Taft. In similar last-minute fashion, two big-named Americans were flown in for the New Zealand leg of the mini-series, with Geico Honda’s Christian Craig and cult hero Josh Hansen bolstering the SX1 ranks just a couple of days out from the event. Craig won Superpole and finished fourth overall for the night, while Hansen only finished one of the Triple Crown motos, with an eighth place.